There is a wide variety of content you can develop when you start Christian blogging as there are several sources of content including the Bible, Churches, Christian music, movies, literature and other Christian personalities. If you broaden the scope of your blog, there is no way you will ever lack content. Never. As you create content for others to consume, you get inspired also. If you are the kind of Christian who goes on ‘break’ when situations do not go as you wish, then Christian Blogging must be your preferred niche. When you have to constantly soul-search to create content which will educate and inspire others, you may want to stay on the ‘right path.’ More like practising what you preach. You’ll be amazed at the number of Christian bloggers there are – both locally and internationally. These bloggers are doing very creative things and are waiting to guide, interact and share ideas with you. Don’t be a hermit when you start blogging (both Christian and non-christian bloggers). Comment on other people’s post, follow their blogs and they will do the same to yours. You may never know who will be reading your blog but your words in a post can encourage someone and ultimately win a soul for Christ. That also does not imply using the blog as an excuse to not ‘go out and make disciples.’ A blog is just a single tool for evangelism. You may employ other tools as well. If you are willing to take this path, then your creative abilities will be developed immensely. As you are given a message, you will have to find ways of communicating it to your various audiences. How are you going to do that? Will it be through visuals, short stories, videos or audios? In what formats are people more likely to click, read and understand the message? That also does not imply ‘deceiving’ people with catchy headlines which are not be related to the post. That is not encouraged. So there you have them. These are some of the reasons you may want to consider Christian blogging. Thinking of starting a blog but do not know how to go about it? Or you have a blog but are looking for ways to revamp it? Then this post is designed with you in mind. Be ready to reveal your identity. You can use a pseudonym but when people know the face behind the blog, they relate better with the posts and that increases traffic. Choose a niche you are passionate about when you decide to blog. That allows you to design and create good content. Don’t start a blog till you are certain of how you are going to ‘feed’ it. You need to know what you are going to ‘give’ it before you ‘birth’ it. Have a content plan. 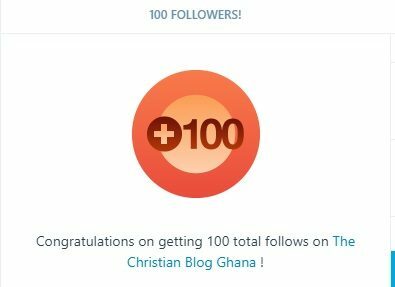 I create a plan for The Christian Blog Ghana by selecting a monthly theme. The posts I create in a month mostly fall under this theme. I also have a whiteboard marker with the possible topics I look forward to creating in a particular month. I cross it out after I have created it. Consistency and discipline are key to blogging. People who have excelled in different fields had passions and were keen on what they wanted to achieve. To be recognised as a blogger, you need to be consistent and to be consistent, you must be disciplined. Create a reminder and learn to sit and blog. How many times should you post? If you have time, you can feed your blog daily or at least once a week. Don’t create a post and go on a hiatus for months and years. You may never return and your followers wouldn’t be waiting for you either. It is also important to know how you will be directing traffic to the blog. Will it be by word-of-mouth, via social media or through recommendations of your family and friends? You need to know and have a plan before starting a blog. Personal experiences sell. Be ready to share some of your life experiences with your friends and followers. Blogging is not rosy…lol There will be times that you’ll feel like giving up, especially, when you create something which you believe should earn you more readership. You may visit the backend of the blog and there will be no click. Don’t cry. That should even encourage you to create more. It will get better with time.